In 1980, the small town of Elmore City, Oklahoma, was rocked with controversy. Ever since the town's founding in 1861, dancing had been illegal. But now, Elmore City's high school students were protesting the ordinance, and a community-wide battle was touched off, pitting the teens against their church elders. When it was all over, the town witnessed its first dance in 120 years. The event made national news. When I heard the story, I immediately went to Oklahoma, where I found much of the inspiration for a new screenplay. It took three more years before the picture was finally shot in Utah in 1983; Footloose opened the next year and broke box office records. Why? I can't say that I know. 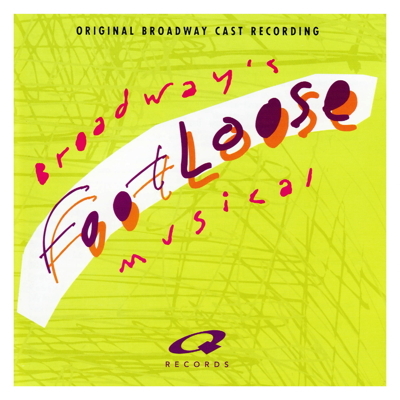 After all, the story of Footloose is the stuff that many fables are made of: A stranger comes to town and changes the lives of everyone there. A boy without a father locks horns with a man who has lost his son. Like I said - basic, human stuff. But, then, there were those songs: the soundtrack album spent ten weeks at #1 on the Billboard charts and spun off many songs that have since become part of contemporary culture. And, when we re-imagined the story for the Broadway stage, even more songs were added. Why? Because it's the music that makes the fable brand new. It's the music that makes it possible for the audience to experience Ren's passion and frustration, to share Ariel's longing and to identify with Reverend Moore's loss. And when the "spell" is finally broken and the characters of the (fictional) town of Bomont are once again permitted to dance, it's the music that gets them moving. So if, upon hearing this score, you're tempted to do a little dancing of your own, go ahead.